Fatah official says handover of power in Gaza from Hamas has hit yet another snag. A planned handover of power in Gaza from Hamas to the Palestinian Authority (PA), under a reconciliation deal reached in October, hit "obstacles" on Sunday's deadline to do so, a top official said, according to AFP. 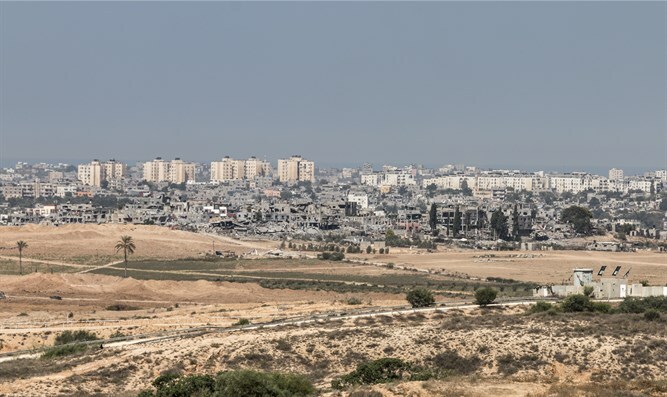 Hamas was originally due to transfer power in the enclave on December 1 under the reconciliation agreement with rival faction Fatah, but that deadline was initially put back by 10 days. Hamas said on the weekend that it was handing over all government ministries to the PA, but Fatah's top negotiator said that was not yet the case. "There have been obstacles today," Azzam al-Ahmad said in a statement on Sunday published on the PA’s official news agency Wafa. "I hope they will be resolved before this evening so our people will feel that their national factions are honest with what they agreed on and pledged," he added. Ahmad said that after the handover takes place, a meeting would be held in Cairo -- Egypt mediated the reconciliation deal -- to discuss next steps. The reconciliation deal reached in October is aimed at ending the 10-year feud between Hamas and Fatah. The feud began when Hamas violently took over Gaza in a bloody coup in 2007. After the agreement was signed, representatives of the Palestinian Arab factions, including Hamas and Fatah, met in Cairo to discuss the implementation of the reconciliation agreement signed last month. The talks ended in an agreement to hold new elections by the end of 2018. If held, the new elections would be the first in the PA in over a decade.